Many composers through the centuries have adapted their music to make the most of particular ‘star’ singers of the time. Mozart was no exception and it was a pragmatic decision for a composer to match music to cast: a famous soprano could draw a bigger audience, so the work would be more likely be commissioned and performed. Mozart extended this by adapting his scores to different cast members so that there would be versions for the more capable singers with extra and more difficult arias – in effect made-to-measure bespoke roles to fit the singers perfectly. A sensible move that would also ultimately enhance the work of the composer. The Magic Fluteis a particularly good example of this. As Mozart’s last opera, it was his first Deutsche Oper rather than written in the conventional Italian, with a German libretto by his friend and theatre impresario Schikaneder. This pitched the work at a more popular, less high-brow end of the native Wiener (Viennese) audience. It’s no surprise that The Magic Flute was premiered in a suburban theatre in Vienna for Schikaneder’s troupe of singer-actors and as family entertainment, or that Mozart wrote the score to suit the voices and personalities of the troupe, as many were friends or family. The Magic Flute was a roaring success with the public flocking to see performances. Schikaneder played Papageno and although not an opera singer, he had more solo arias than anyone else. Mozart got around this: the familiar Pa Pa Pa duet with Papagena covers barely one octave in its vocal range – so even Schikaneder could manage it. However at the opposite end, the Queen of the Night’s vocal fireworks in possibly the most famous of Mozart’s arias, was able to be sung only by a soprano with enormous range and skill. At the premiere this fell to Mozart’s own sister-in-law, Josepha Hofer, well known for her ability to comfortably hit the infamous high F. Mozart made the most of this. 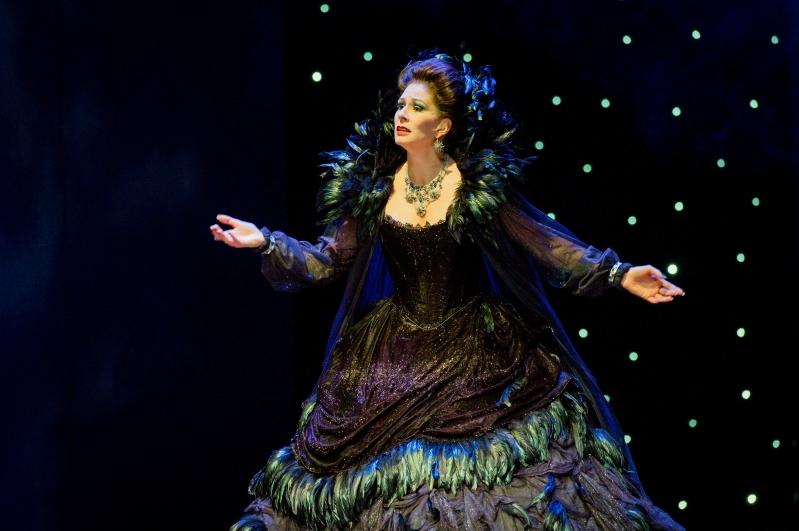 To this day, the Queen of the Night’s aria has taken on ‘badge-of-honour’ status among sopranos.